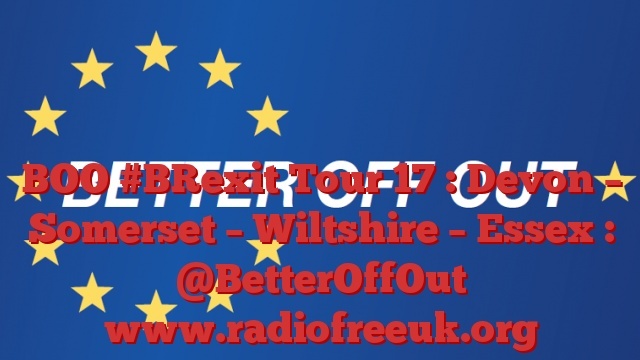 This week our podcast follows Better Off Out on trips to Devon, Somerset, Wiltshire and Essex that we made in March. We take in a varied batch of incidents, ranging from prehistoric megaliths, to a Dark Age warrior king and a very modern cream tea. I seem to be getting something of a fixation with cream teas as we had one last week as well. So we start in Devon at the site of the Honiton Agricultural Show. Then we move on to the charming little village of South Petherton in Somerset. Charming and little it may be, but there was a time when this was the bustling heart of one of the most aggressive of the Dark Age kingdoms in Britain. We then move on to Avebury, in Wiltshire, which is famous for its vast henge and dozens of huge standing stones, or megaliths. We also pay a quick visit to the nearby and rather enigmatic Silbury Hill. Next we go to Colchester in Essex to learn about the wool trade of past years, and what that can tell us about the modern European Union. Finally we end up in Tiptree – famous for its jam – where I indulged in a cracking cream tea. But not until after I pondered the meaning of that for the EU Referendum.